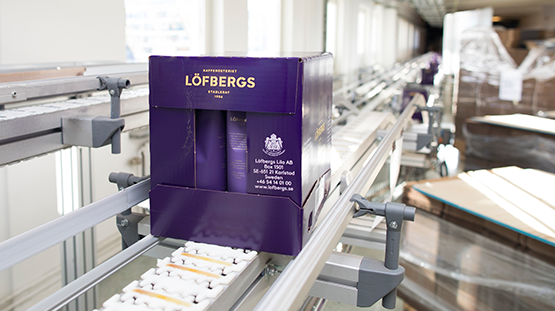 Löfberg's maintenance journey towards increased operational reliability. 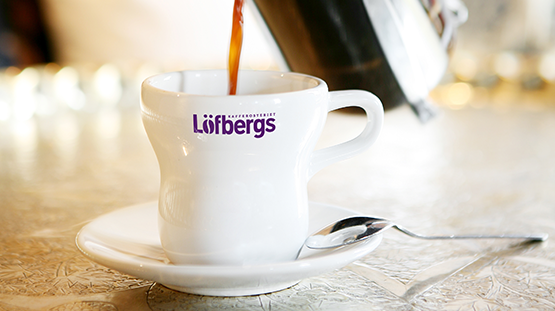 Löfbergs’ coffee-roasting plant in Karlstad has an extensive initiative underway to establish a strategy that will make their maintenance more effective. The goal of the initiative is to improve operational reliability and increase availability for the machines in production. Prevas is providing IT support in the form of the cloud-based maintenance system Infor EAM. More structured and preventive maintenance is an important part of Löfbergs’ work in creating growth. The company saw a clear potential – with higher operational reliability, production could be increased with the existing facilities and the existing personnel. 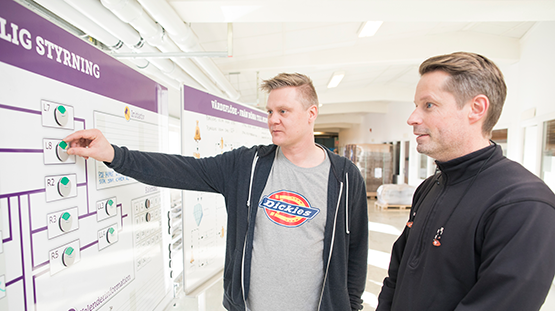 Michael Jansson, Process Improvement Manager at Löfbergs, has been responsible for developing the company’s new maintenance strategy. – What we’re trying to do now is execute each job order with the right resource and at the right time," says Michael Jansson. "We’re going to become more efficient by working smarter, not by working harder. The maintenance strategy entails among other elements, common queues for all maintenance jobs and personal assignment of job orders for the company’s technicians. The technicians previously chose job orders themselves based on personal preferences, but now production needs determine who the job orders go to. The strategy was completed in 2016, but to implement the new way of working, new IT support was needed. – We sent out a requirements list to several integrators of maintenance systems," says Michael Jansson. "Prevas demonstrated the best understanding of our needs and was able to present a solution that was exactly right for our plant and our ambitions. Moreover, Prevas had a clear picture of how the implementation would be executed, which felt good. Prevas is the Nordic distributor of Infor EAM, the world’s largest cloud-based maintenance system. Magnus Windhede, head of the Center of Excellence EAM at Prevas, has been responsible for the implementation at Löfbergs. – Our concept is based on supplying each employee with the information needed to make good decisions," Magnus Windhede explains. "The information must be available at the right time and at the right place. Smartphones are important; you need to be able to provide information where you are, something that Inform EAM smoothly enables. For Löfbergs’ operations, the technicians will eventually be able to receive job orders on their smartphones or tablets. The machine operators will have the option of reporting problems where they occur and complementing their reports with photos and video. – A strength of Infor EAM is that it’s flexible and scalable," says Magnus Windhede. "It’s easy to get underway with the things that are most important, and our customers can then gradually add more functions when they’re ready. It’s a perfect system to grow with. Löfbergs’ structured way of working and the new maintenance systems have freed up about 35 percent of the technicians’ working time, time that can be used for planning and conducting additional maintenance efficiency measures. – It can be a matter of being prepared when an unexpected maintenance window opens up," Michael Jansson explains. "If a pallet loader breaks down, for instance, we can take advantage of this and carry out maintenance on the packing machine since it will be shut down anyway. We previously didn’t have that level of preparedness; either instructions or spare parts were often lacking and the job didn’t get done. A portion of the technicians’ working time is now set aside for preparing for coming maintenance jobs. This means that Löfbergs can enhance its maintenance activities by quality assuring execution and making the activities more efficient. – With Prevas’ assistance, we’ve succeeded in making time for our technicians to participate in further maintenance development," says Michael Jansson. "We’re working more with a long-term approach and are helping to increase machine availability. It’s about development. There was nothing wrong with what we were doing before, but now we’ve taken maintenance to a new level. An installation of Infor EAM takes about 4–6 weeks, depending on the resources the customer can make available. Prevas has implemented more than 80 installations to date for industrial customers in Sweden, Norway, Denmark and Finland. Previous installations show among other things, savings of up to 50 percent in labor costs related to maintenance, at the same time as machine availability has increased by up to 10 percent.